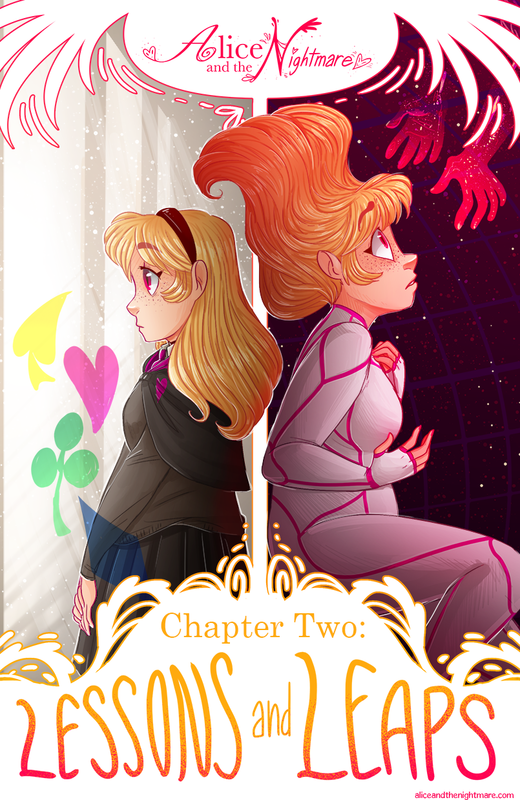 Welcome to Chapter 2! It's going to be a fun one with a lot of questions answered and plenty of new ones raised. I'm very excited I hope you are too! Get hype!! A small note about comments: I have a weird love-hate relationship with the comments section, as many creative people do. I try not to delete or censor anyone as a policy HOWEVER if you write something overly offensive or something that makes me incredibly uncomfortable, there's a good chance it'll get deleted. But the latter is very often an extreme case scenario, so that won't happen too often. It's a really tricky thing and I don't want to scare anyone off of writing comments because I love reading them! Even though this isn't an all ages comic by any means, you never know who could be reading so please keep that in mind. It's just a rare case that I'll delete anything so please, be respectful and mindful and keep commenting away! If you have any questions please don't hesitate to email me, my email is on the "About" page! Also, reminder that if you want to help support this comic and in the process get some neat Alice and the Nightmare goodies, donating to my Patreon is the best way to do that!! That's all for today, thanks for reading!